he Lion Intoxilyzer® 8000 is an evidential instrument approved to the Australian National Measurement Institute NMI R126 and international OIML R126 1998 (E) specifications. 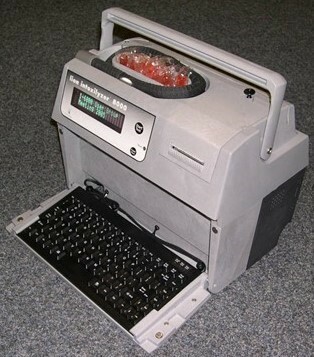 Used by police services across the world including North America, Malaysia and Italy the I-8000 is the instrument of choice for the NSW, QLD and SA Police and the Australian Civil Aviation Safety Authority. As a small, light-weight and fully-mobile instrument it can be operated through a choice of 240VAC, 12VDC or internal rechargeable battery power supplies. Analytically the I-8000 operates using two optical filters and two detectors. The actual analysis result as reported is conducted at 9 microns, but a second measurement at 3 microns is also made, this ensures a very high specificity to ethanol, only deep lunch air is supplied for analysis and that the specimen is unpolluted by residential mouth alcohol.